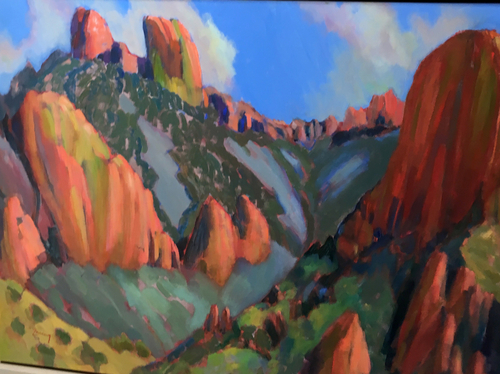 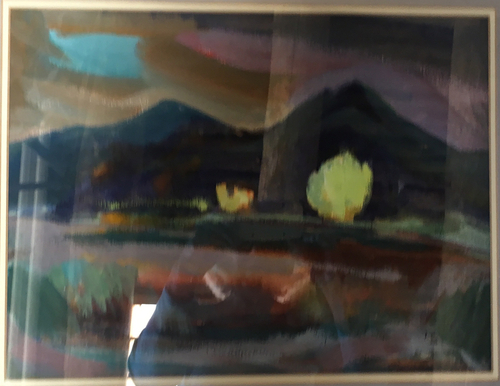 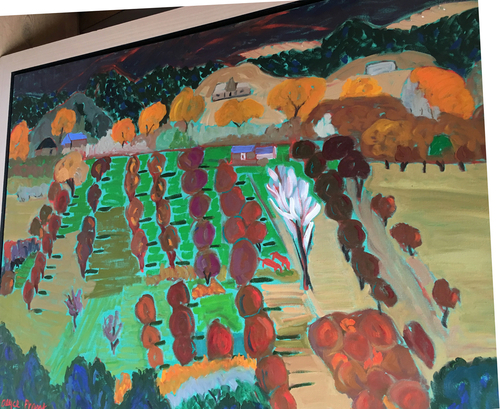 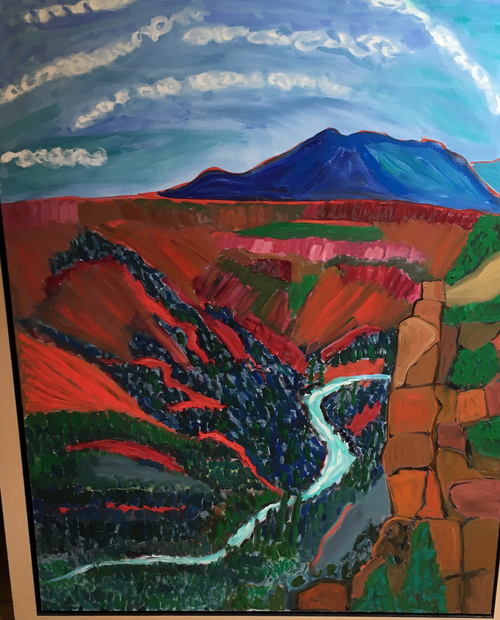 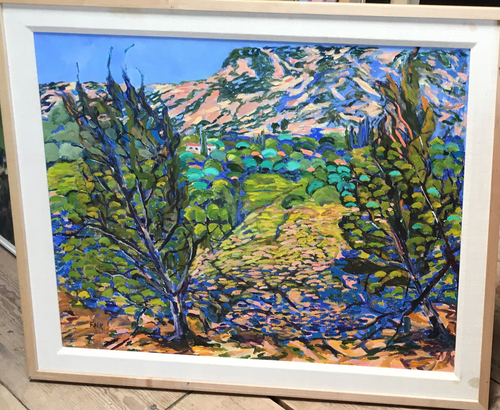 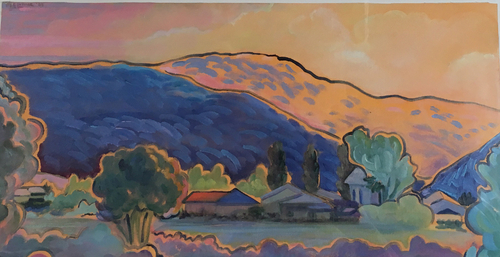 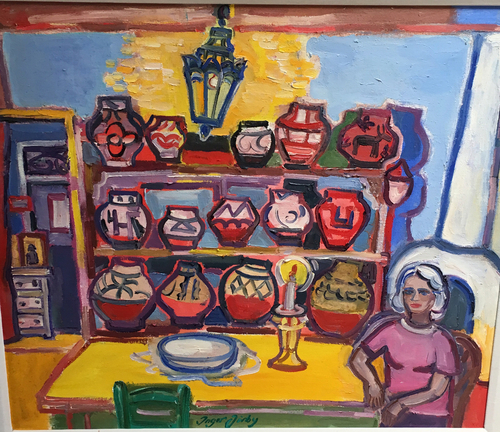 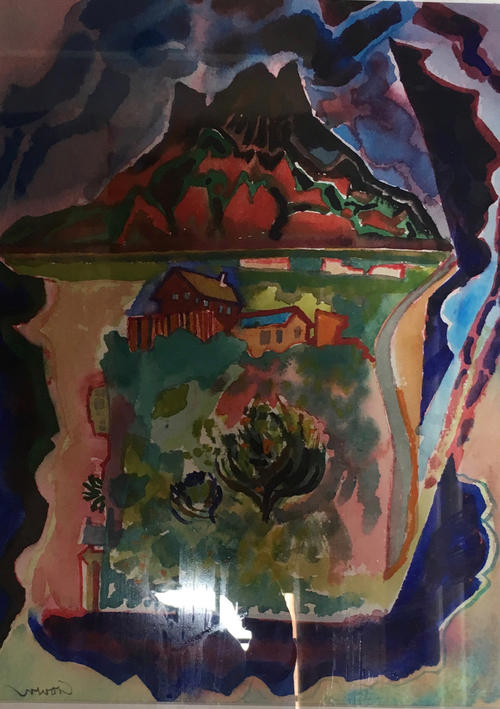 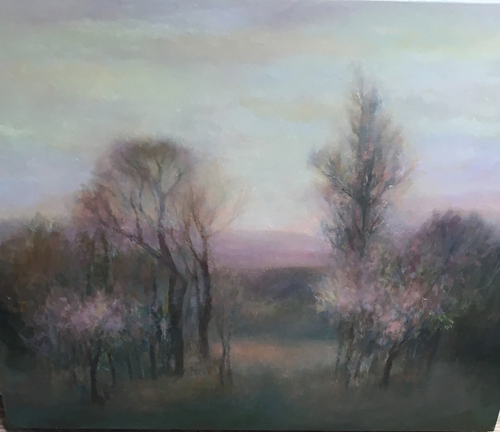 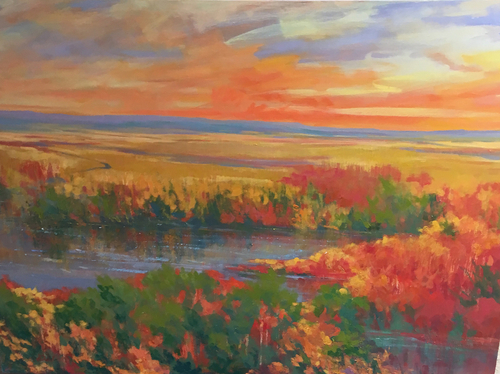 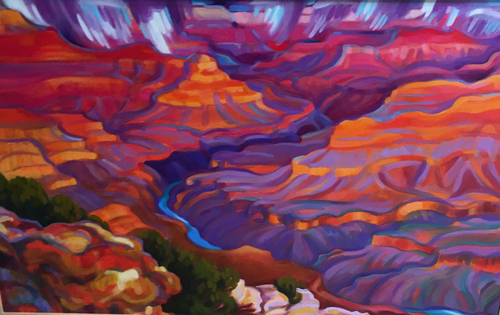 Beloved throughout the Southwest and nationally, the expressionist landscapes of Alyce Frank exude a vibrant fauve sensibility. 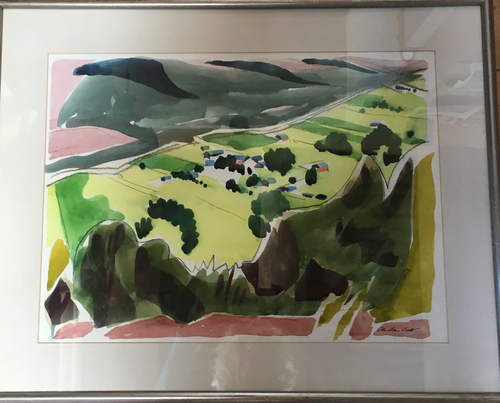 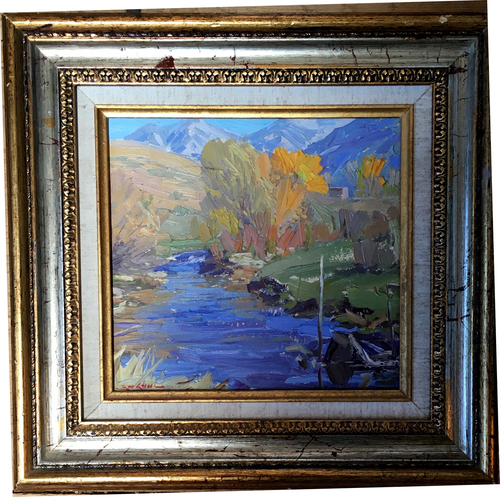 A plein air painter known for red underpainting and bold flat surfaces which contradict reality, Frank’s clarity, enthusiasm and keen wit are known to many. 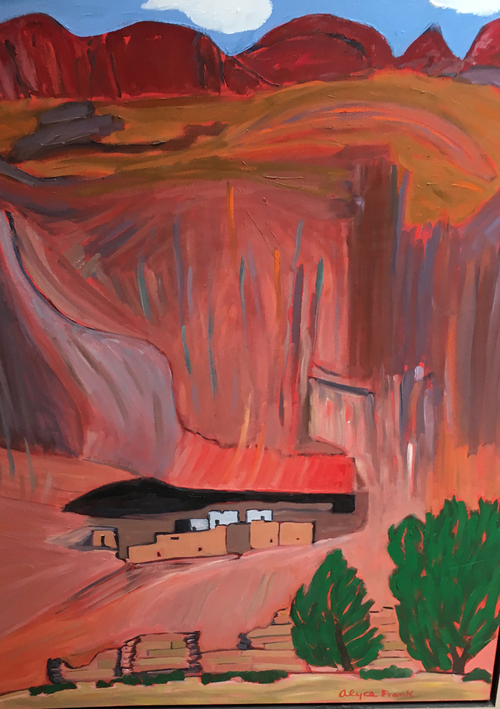 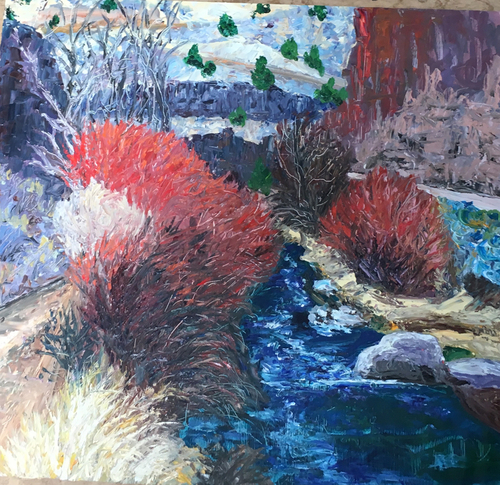 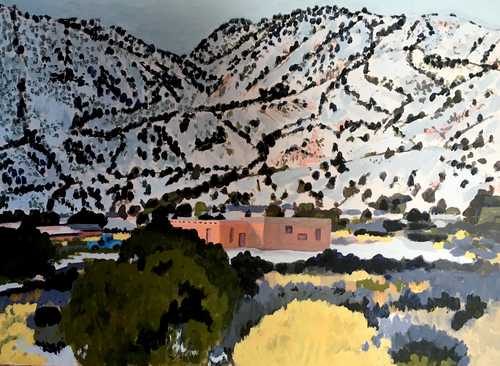 Few, however, are aware of the generosity she displayed to Taos artists throughout more than four decades painting the northern New Mexico landscape. 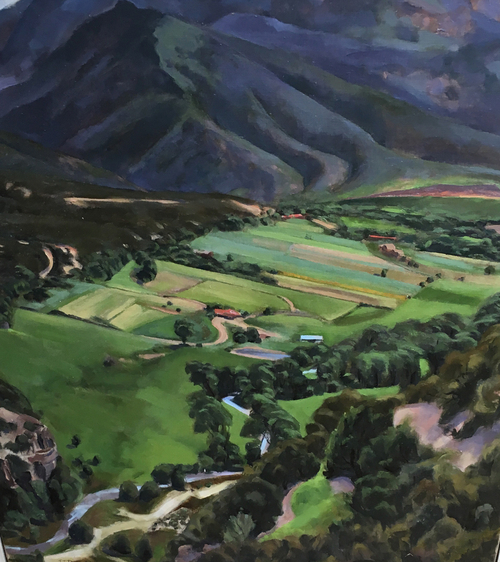 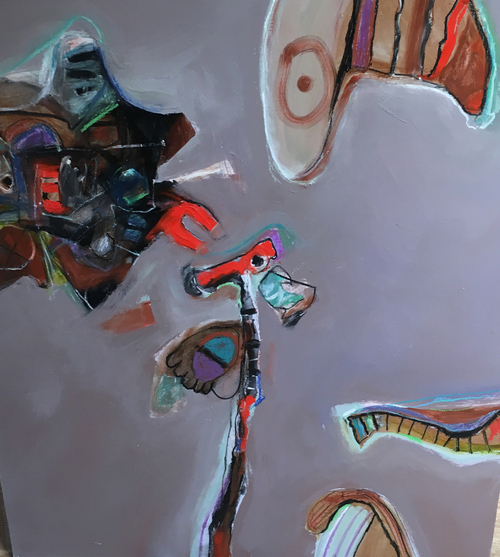 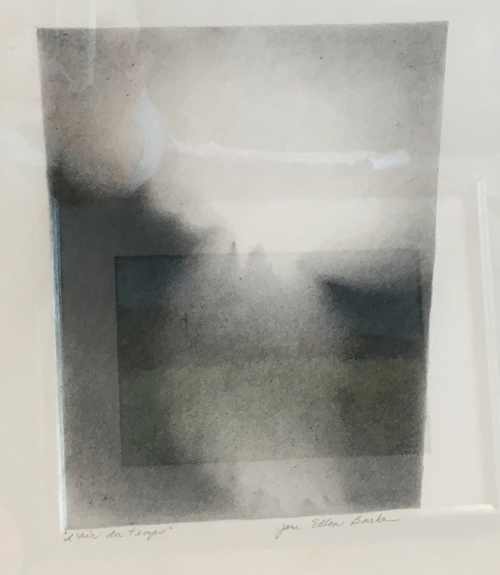 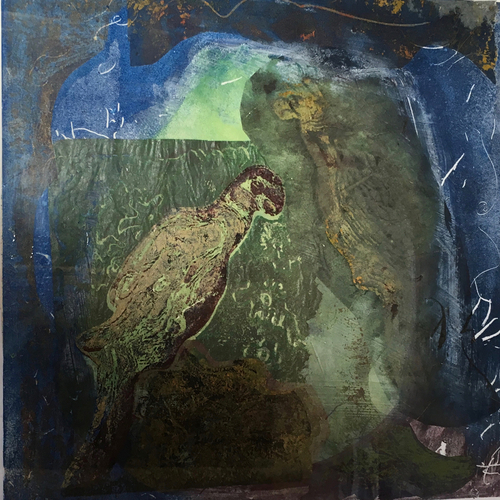 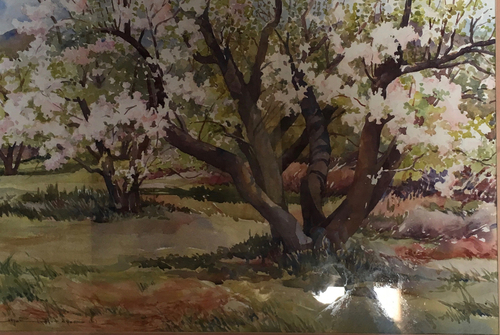 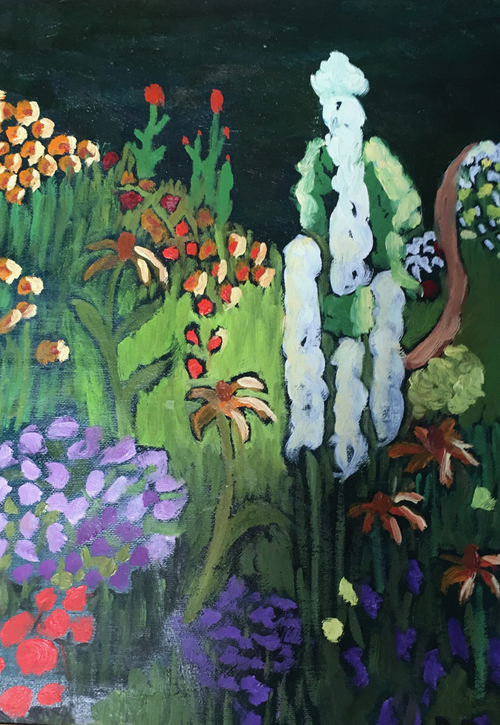 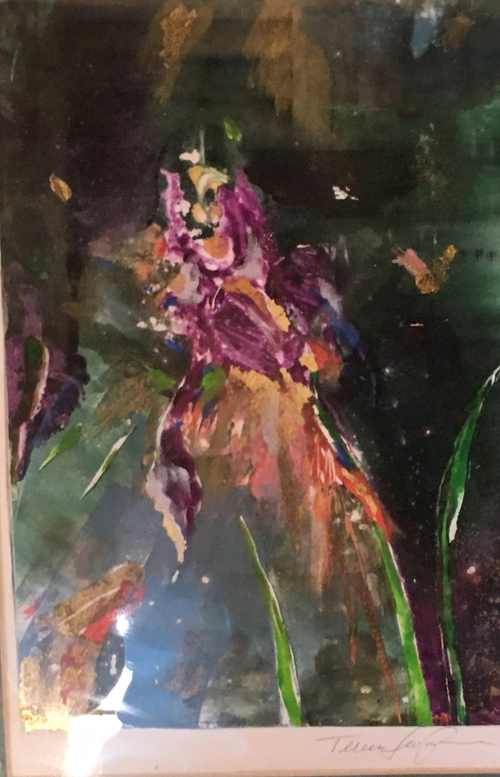 While there are many works, traded, or bought residing in her studio, it wasn’t until an old shed on the Frank property in Arroyo Hondo was recently cleared out that the extent of her magnanimous spirit became apparent. 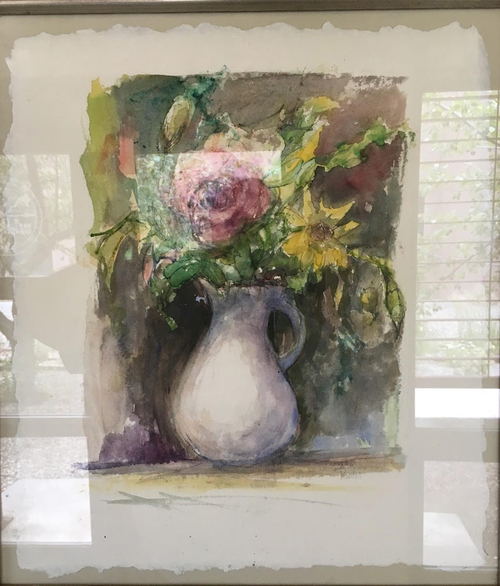 Dozens of paintings emerged, many by young female artists who befriended Frank in their painting careers and to whom she often mentored. 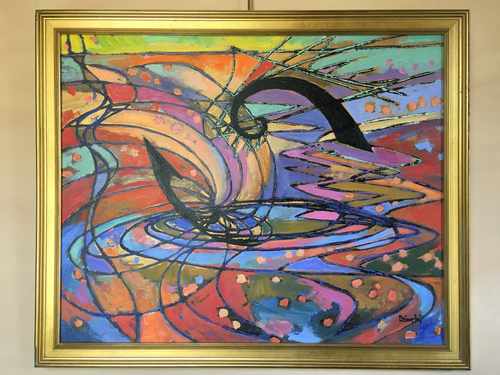 As a means of encouragement and empowerment she would buy a painting from young artists she admired. 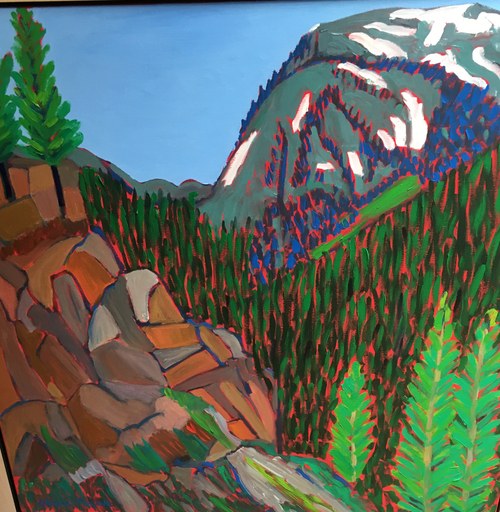 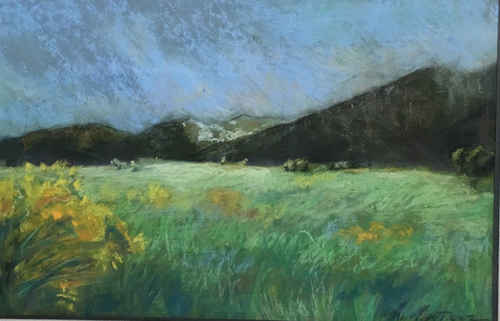 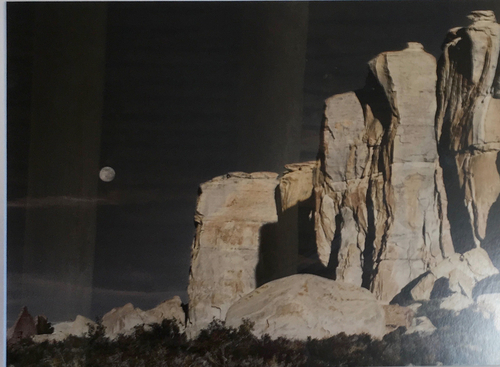 The exhibition at the Taos Town Hall, June 16 to August 25, 2017 is a sampling of this collection and a tribute to Frank’s support and encouragement.